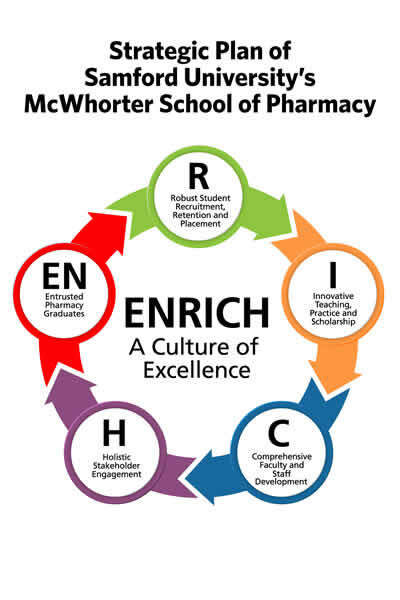 McWhorter School of Pharmacy’s strategic plan focuses on embracing opportunities, challenging assumptions and cultivating informed risk taking. 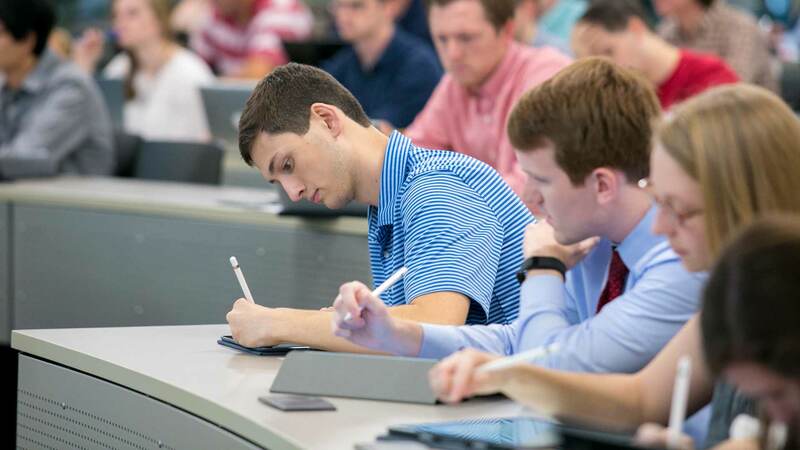 In 2016, Samford University McWhorter School of Pharmacy implemented a new strategic plan that guides the School for the next three years (FY17-19). The plan was developed over the course of more than a year, and it included extensive input from faculty, staff, students, alumni, preceptors, practitioners, and other relevant constituents. Colin Coyne, University Chief Strategy Officer, served as facilitator of the process and helped ensure linkage of the School’s plan with the four University focus areas: 1) emphasize student success, 2) enhance our community, 3) extend our reach, and 4) ensure financial strength. Based on feedback received through breakout sessions, interviews, survey results, and brain-steering sessions, the message was clear: embrace opportunities, challenge assumptions, and cultivate informed risk taking. To this end, the following strategic priorities articulate our method to ENRICH a culture of excellence.